Vinita Dubey Pande: "Hindus" do NOT believe in "Gods"
"Hindus" do NOT believe in "Gods"
First of all the term "Hindu" is a misnomer. The proper indigenous word is "Vedic" or Sanatana Dharma for the spiritual tradition you refer to as "Hinduism". Vedic Dharma does not believe in many "Gods"! The concept of the English word "God" today stands for a monotheistic belief in One Omnipotent (all powerful), Omniscient (all knowing), Omnipresent (all pervasive), Supreme Being. In Vedic Dharma the closest correspondence to this definition of "God" would be Brahman. "Hinduism" or Sanatan Dharm accepts 3 texts as authority: the 4 Vedas; Brahma Sutras; and the Bhagavad Gita. Any other text or postulation has to be verifiable from these texts and they are used as a reference in any religious discussion or writing. Therefore; if we refer to these 3 texts, it's only "Brahman" that comes closest to the definition of "God". Brahman, being infinite and eternal is beyond description, because any description puts a boundary and limits. However; certain attributes can "point towards" what Brahman is, such as being the One Omnipotent, Omniscient, Omnipresent, Supreme Being. Or the Vedic pointer, "Satyam Jnanam Anantam Brahman", which is similar. I will not delve further in the philosophies of the Vedic culture. We need to understand the fundamental principles of Vedic Dharma first in simple terms. Now how did this concept of "Hindus" believing in many Gods come about? It may have come from the ignorant British imperialistic rulers who wanted to demean the Vedic Dharma to claim superiority of their Christian "God" in their missionary zeal to convert and rule over "Hindus". Before them the even more ignorant and destructive Muslim colonizer's holy violence destroyed much of the Vedic foundation, terming the followers of this deep spiritual tradition as "Kafirs" and "Jahils", and it continues till this day. The Vedic Dharma talks about Brahman and the process of creation. In the descent of creation through the layers of various "Lokhs" (dimensions? ), several beings were created with certain "roles" in the functioning of creation. So Vishnu and its Avatars were created to keep us on track per Dharma. Vishnu and the Avatars of Vishnu such as Sri Ram, Sri Krishna are NOT Brahman ("God"). Sri Krishna in the Gita spoke about Brahman extensively. Yes as Brahman is infinite and all pervasive nothing can exist outside of Brahman, so Sri Krishn is also part of Brahman. 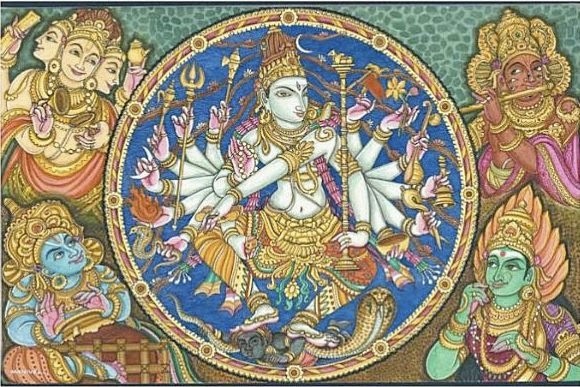 Perhaps you can understand it this way, Sri Krishn is a highly evolved Being, like Christ, on one of the higher scales of evolution; such is an "Avatar". There's are others ways to understand "Avatar" including the awakening of consciousness within. In the Gita it says, "Sri Bhagavan Uvaacha" referring to Sri Krishn. Now "Bhagavan" is not Brahman ("God"). The term Bhagavan is not used in the Vedas, but Sri Krishn is referred to as Bhagavan in the Gita because when he channeled the Gita the wisdom inherent in Brahman flowed through him. Again, I will not get into the definition of "Bhagavan" but will keep it simple here. There are several other people and beings who have been given the title "Bhagavan". There are other Beings in Vedic Dharma that were referred to as "Gods" by the British, Christians, Westerners, Muslims, Jews, etc., which is incorrect! They do not understand Vedic Dharma and did not consult any authority on Vedic Dharma to come up with their own false concepts, biases and judgments of Sanatan Dharm. There are so many categories of these Beings mentioned in the Vedic scriptures, Devis, Devatas, Rishis, Siddhas, Gandharvas, Yakshas, Manas Putras such as Kumaras, and so on. Some of the popular names you would have heard are, Ganesh, Lakshmi, Durga, Shiva, Brahma (not Brahman), Indra, Narayan, and so on. These are not "Gods"! You can think of them as elevated, enlightened, highly evolved beings, or collective consciousness; evolved to varying degrees, in higher realms ("Lokhs"). We humans may have descended from one of them, and we too can ascend to become one of them. We need to stop translating Devas to Gods, which was done by Western commentators, because it is incorrect. Devas are beings created by God for certain functions in creation. If we can use terms such as "Karma", "Guru" and "Dharma" without translating them, please let's extend our dictionary further to Devas, Rishis, etc. Sanskrit is an excellent language for spiritual terms. If you read the Purusha Suktam of the Rig Ved it partly describes the process of creation and how it descended. It says that the "Purusha", which can be translated as the infinite, eternal, all pervasive consciousness, is the only thing worth knowing in the Vedas, from it all creation came, all these beings came. If you read the Upanishads there is no reference to many "Gods", there is only ONE, non-dual Brahman. If you read the Bhagavad Gita there is no mention of these Devi/Devatas as being Brahman. The Vedic culture is based on universal energies, we revere everything as divine, as a part of Brahman, and we worship everything in nature. You may call it pantheism, that's fine. We don't see a separation of "God" and creation. If God is infinite and all pervasive how can something exist outside of Him? And if everything was created of Him then isn't everything part of Him? Therefore divine? Only ignorance can think of God with a human form sitting somewhere in heaven and no more thought is given to "Who is God?" If God is a human sitting in heaven then He becomes a limited mortal like us. It is then this ignorance in people that demeans the Vedic Dharma. We live in an enlightened new age where the words like "Consciousness" and "Spirituality" have become common. Vedic dharma is based on "Consciousness". Let's stop creating differences. Before making statements and claims about "Hinduism" please learn the Vedic scriptures to gain a correct understanding. This can remove the deep founded bias and judgments on Vedic dharma that most Christian, Muslim, Jewish and others have about "Hinduism" which causes a division in humanity. Even though non-Hindus are adopting meditation and yoga, they will never refer to the Vedic tradition from where these practices came. There are many "New Age" masters and practitioners who will use the words "Karma" and "Dharma" and other Vedic terms, but will never refer to the Vedic wisdom from where this understanding came. Why? Because of this deep embedded misunderstanding that "Hindus" are "idol-worshippers" who believe in "many Gods"! I have investigated this to depth and therefore state this here. There is still an obsession with just Jesus Christ (whom I revere just as much as I do Krishn-ji) and not the acceptance of the greater whole, including all Masters, Avatars, Rishis, of the Vedic Dharma. Open your mind and eyes and include all sources of absolute Truth. 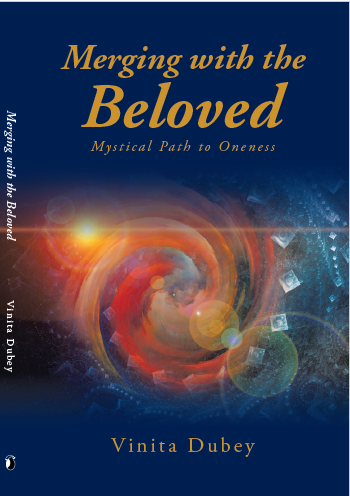 Let's evolve availing the gems of universal Wisdom that dwells in all spiritual traditions. One must not leave out "Hindus" and claim to have universal Love.